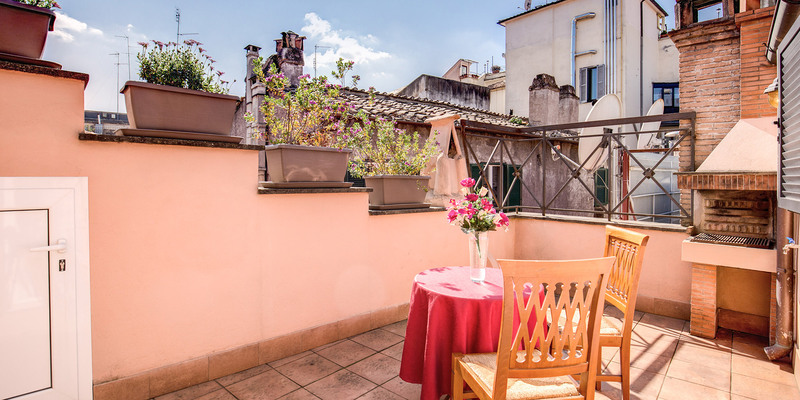 The Pantheon Rooms Rome is a brand new guest house lying just 20 metres or 1 minute from the ancient Pantheon in the very heart of Rome. 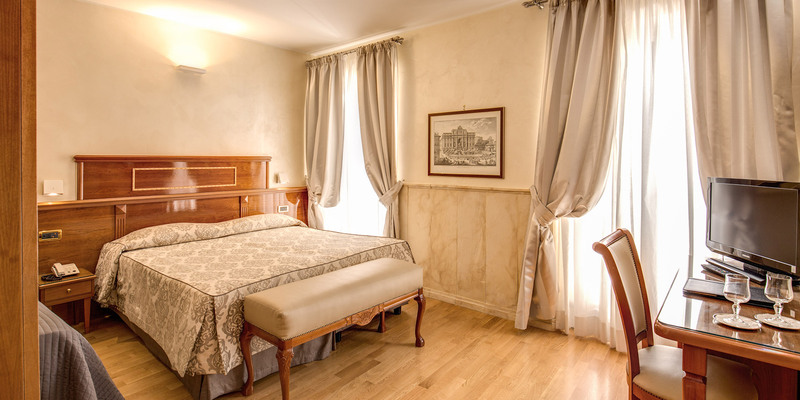 Decorated and furnished in a classic style with rich fabrics, neutral relaxing colour palette, parquet flooring and the highest quality furnishings, the Pantheon Rooms Rome offers 6 suites in either the single, double or triple varieties. 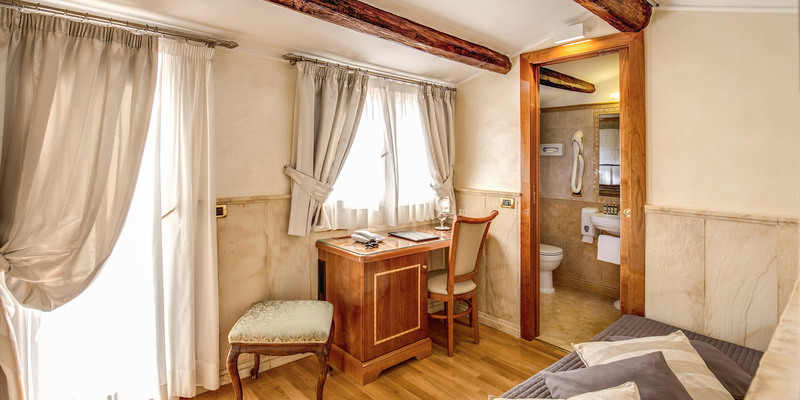 Occupying the 3rd and 4th floors of a historic Italian palazzo, each of the renovated rooms also enjoy the latest modern conveniences. Take a look at our Photo Gallery for pictures of our great facilities and make use of our online reservation system to book your room today before they’re all booked up. "The reception of the guest house stays in service for 12 hours a day, outside the hours of service it is necessary to book an appointment exclusively via email Our highly qualified and multilingual staff (in case you come with some friend who does not speak Italian) , you will be happy to put your experience and professionalism at your service, you can contact him by phone 24hr 24 from your room.For urgencies call the number +39 06 6787746. 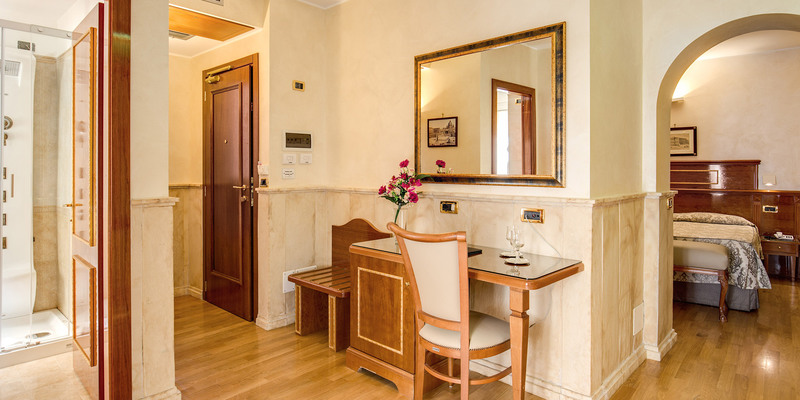 At the Guest House Pantheon Rooms Rome, you can also request the private shuttle with city airports Only by booking on our Official Online System, you can take advantage of the American breakfast included in the price of the room! "